Kansas lawyer John Thurston has extensive training and experience on both sides of a DUI case. He is one of the few defense attorneys in Northeast Kansas who has received actual law enforcement training in Standardized Field Sobriety Testing and DUI investigation. Twice he has completed the 40-hour DUI training given to every law enforcement officer in Kansas. He is also one of the few attorneys in Kansas to have been trained as an actual instructor in this course. John has also undergone the government’s Drug Recognition Expert training, the coursework designed to determine if a driver is under the influence of drugs, rather than alcohol. John is one of only a few attorneys in the entire state who has completed the American Chemical Society’s Forensic Chromatography: Theory and Practice course. This intensive and rigorous course focuses on the theories behind blood alcohol testing. In addition to the classroom work, a large portion of the course takes place in a chromatography lab preparing and analyzing samples in the same manner as a crime lab. He has also completed the Forensic Drug Analysis and Forensic DUID courses. In addition he completed the Forensic DNA course in Boise, Idaho, taught by the nationally recognized DNA expert, Greg Hampikian. John began honing his courtroom skills early on as a member of his law school’s varsity mock trial team, successfully competing against other schools around the country at multiple tournaments. Since that time he has conducted countless jury trials, bench trials, and motion hearings, obtaining successful verdicts and rulings on a regular basis. After prosecuting DUIs and other crimes for a number of years, John began defending the criminally accused and now limits his practice to criminal defense. He believes that the traditional model of the lawyer who could write your will, handle your divorce, sue over your car accident, and defend your criminal case is outdated. That is a recipe for being proficient at many tasks, but master of none. John recognizes that it is not enough to excel in the courtroom if one is to be a successful DUI attorney. He regularly training around the country to further develop and maintain his skills in cutting-edge DUI defense. He also teaches other attorneys DUI defense techniques and is sought out to lecture on DUI and other criminal defense topics to professional and other organizations. He has taught other attorneys at seminars in Kansas, Ohio, Florida, and New Jersey, just to name a few. John is regularly quoted in local newspapers on the topic of criminal defense. He has been hired to consult on DUI cases out of state. He has handled thousands of DUI cases, from first offenses for people with no criminal records, to those with multiple prior convictions, to those charged with DUI and Vehicular Manslaughter. 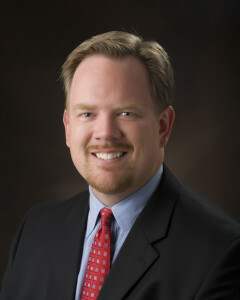 John is licensed in both Kansas and Texas and is a member of the Kansas Bar Association, the State Bar of Texas, Kansas Association of Criminal Defense Lawyers, National Association of Criminal Defense Lawyers, and the American Chemical Society. He is a member of the permanent faculty of Trial Skills University. John is a Charter Member of the DUI Defense Lawyers Association. He proudly serves as that organization’s Vice President. John is the first attorney in the state of Kansas to receive the ACS-CHAL Forensic Lawyer-Scientist designation.